The clear and undisputed loser is former president Mahinda Rajapaksa. Since his defeat in the January 2015 presidential election, he has been contemplating the idea of a reentry. Because the two-term limit has been reintroduced, he certainly cannot return to power as the president. The door has been completely shut on him in this regard. Encouraged indirectly by the former president himself, his supporters have been demanding his appointment as the prime minister. The prime minister’s office has not been empowered as originally intended and the president will remain as the executive leader with almost all powers conferred by the 1978 constitution. This author does not believe that Mahinda Rajapaksa is interested in a nominal position. He wants real power. 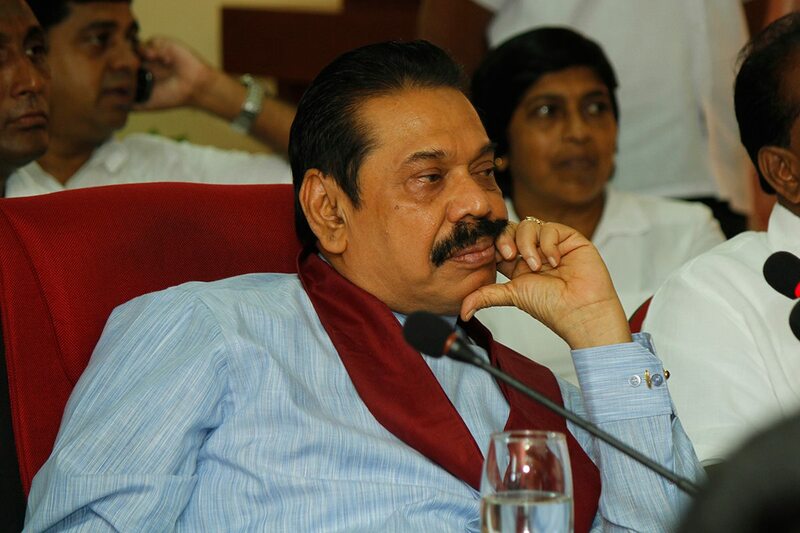 Therefore, the successful enactment of the 19th Amendment means the end of the road for Mahinda Rajapaksa. He may however, continue his present political maneuverings to protect his personal, family and supporter interests. Q: Let us start with your role today, what is it like? The Colombo Telegraph today learns that the meeting sought by former President Mahinda Rajapaksa with President Maithripala Sirisena is to inform Sirisena that he would not contest the upcoming parliamentary elections. The reason for the decision is the losing of priviledges that a former President enjoys, informed sources said. The coalition of parties which have repeatedly called for the nomination of Rajapaksa as the Prime Ministerial candidate, are set to field Gotabaya Rajapaksa the former Defence Secretary as its main candidate. The meeting which was first scheduled to be held in the first week of March was postponed due to non availability of Sirisena owing to foriegn engagements. The brokers of the meeting, which include Kumara Welgama and Reginold Cooray earlier said the meeting was postponed due to official engagements of Sirisena. Cooray however, last week said that dates have been provided and the meeting between the two would be facilitated forthwith. If Rajapaksa were to contest the upcoming general election, he would lose all privileges accorded to a former President.